I absolutely love sharing the amazing things Will creates because 1) he is incredibly talented and 2) his illustrations make my heart sing! He comes up with and creates such amazing illustrations! 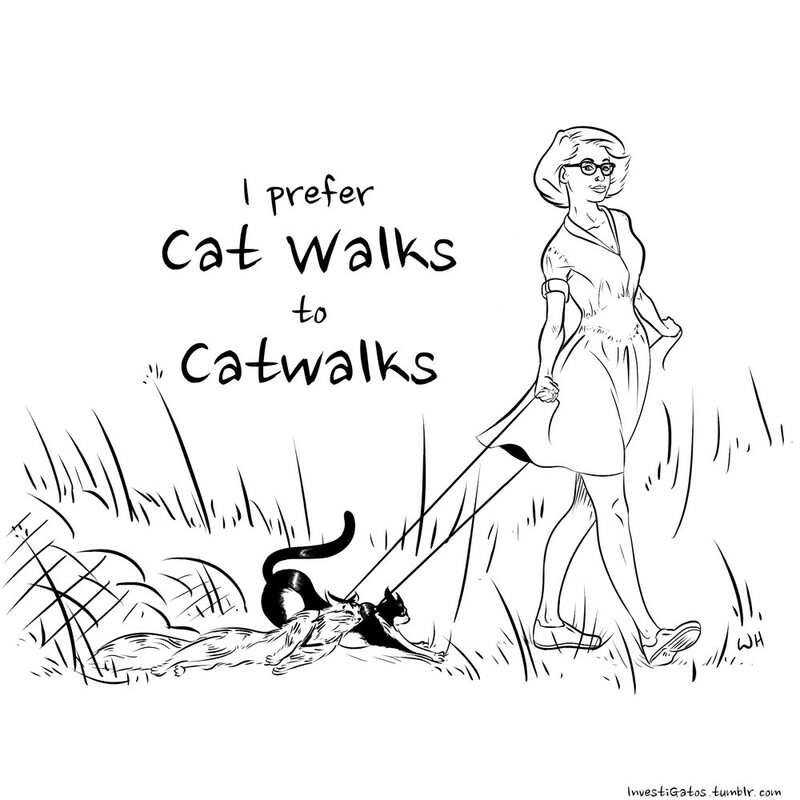 The Cat Walks one featured above is seriously my new all time favorite because it's true, I think he drew me looking wonderfully sassy, and as much as our cats do enjoy going on walks there are days were they are not having it one bit, haha. 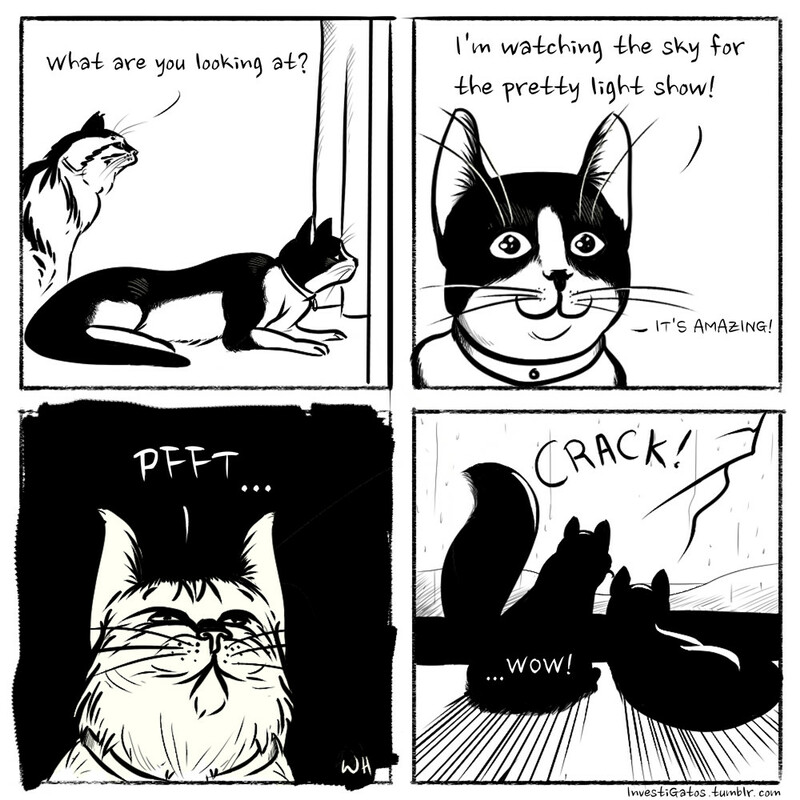 Recently he decided to create a little comic entitled InvestiGatos, staring none other than our two cats Wigs and Sylvester, which again I am all about. 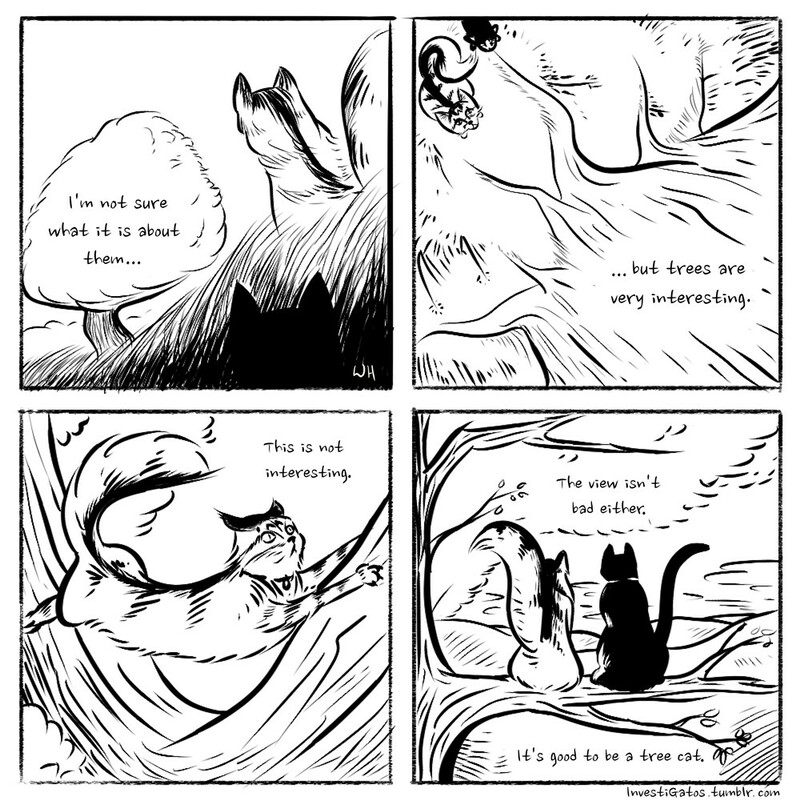 So of course I had to share a couple of his comics because I'm just so proud and they are absolutely wonderful! These are great! does he work for commission? He is seriously so talented!! AH! I can't wait to come visit!!! These are so good! You're right- he's super talented! They are amazing! He's so talented. Thanks for sharing!